A person does not have to be convicted to be placed under house arrest. If the charges against a person are serious enough and the judge does not feel comfortable leaving them at liberty while they are awaiting trial, they can be placed under house arrest. Even if they have posted bail a judge can order someone to wear a GPS ankle bracelet so the authorities always know their whereabouts. This is most often utilized for repeat offenders, flight risks, persons that are known for breaking restraining orders, and cases of ongoing domestic violence allegations. Many abusers that are guilty of domestic violence will often coax or harass their victims into retracting their story. Over half of the homicides against women are committed by an intimate or former partner. By having exclusion points for someone who is charged with domestic violence, it’s possible that many of these homicides can be prevented. By giving a victim this sense of safety from their abuser, they can provide unimpeded and truthful testimony and justice can be served as may be fit for any particular case. There are many people, both men and women, that are unjustly accused of domestic violence. 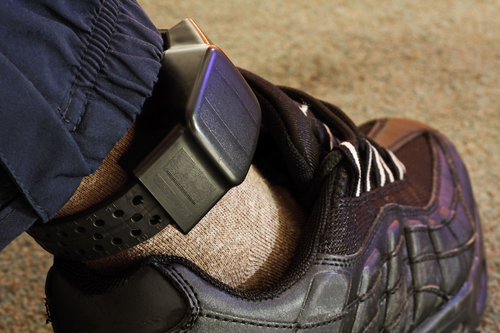 By volunteering to wear a GPS ankle bracelet a person has a twenty-four-hour alibi against a new false allegation. In essence, it creates a paper trail that a domestic violence defense lawyer can use to show someone’s innocence from a vengeful ex-lover who is willing to make ongoing demonstrably false allegations. Defendants of this alleged crime are sometimes encouraged by their lawyers to do this to protect themselves. The period is usually short-lived. It is limited to a case’s adjudication period, which lasts from arrest to final disposition. On average it is three months or less, unless the trial is pushed out further. Whether someone is guilty and sentenced to house arrest or someone is out on bail and pending trial under house arrest, they lose quite a few of their rights. They are limited on where they can go by exclusion zones. When someone is under house arrest, they usually can only go to work, the hospital, their lawyer’s office, a drug testing facility, or to a pre-approved family event outside an exclusion zone. They are not allowed to stop anywhere else, even if it is on the way to one of these destinations. They are also often placed on a strict curfew. Other rights that can be taken away are the ability to drink alcohol and possess a firearm. Their home is sometimes subject to surprise visits and warrantless searches as a condition of house arrest in lieu of staying in jail. All of these rules come with a zero-tolerance policy. The authorities will be notified of a violation immediately, and the house arrest status will likely be revoked landing them in jail. Many people who wear a GPS ankle bracelet have problems making a living. On top of the cost of approximately twelve dollars a day for monitoring, there is a curfew for someone to be home. People need to consider travel time, traffic, and bus schedules to make sure they are in the proper place at the proper time. Hours can be lost and in some cases, the financial burden is too much to bear. The exclusion zones can also be very large for someone wearing an ankle bracelet. Those under house arrest must make sure they are traveling around these zones and it can take up valuable time from work and extra money for travel. Domestic violence charges need an experienced domestic violence lawyer to defend them. Jesse Kalter can help anyone to navigate through this trying time in their life. He has the expertise to recommend the right course of action whether someone is guilty or innocent. He has received countless dismissals, not guilty verdicts, and reduced sentences to include house arrest in lieu of jail time. Jesse Kalter is available to serve Reno, Sparks, Carson City, Fallon, Fernley, Dayton, Yerington, Douglas County, and all other Northern NV rural counties. Domestic Violence Charges Do Not Have to be the End of Your Career or Your Lifestyle.